Trapped in a white-walled labyrinth by Juneau Malloy, Brooklyn is faced with the horrors of Isolation’s finest training yet. The skills she learned as an Omen Operative in Camp Number Eleven are put to the test in the form of brutal assessments of her strength, skills, and fortitude. Confused and disheartened, Brooklyn and the group of renegade Omens prepare for whatever trials Isolation has in store for them. When Brooklyn finds out her best friend Gabriel is alive, she goes on a violent rampage in search of her, but instead earns herself a stint in solitary confinement. Juneau attempts to tame Brooklyn through grueling exercises before offering her one radical choice. Brooklyn must hand over her freedom in order to spare her friends. She’ll become a showpiece Juneau will auction off to the highest bidder for her skills in assassination, defense, and combat. Brooklyn has no intention of becoming Juneau’s latest achievement. During a mind-warping training simulation, Brooklyn uncovers Isolation’s greatest secret and their darkest mistake. Juneau Malloy has created something far more sinister than the Omens, and it’s ready to eat the world alive. Save her friends—or save humanity. 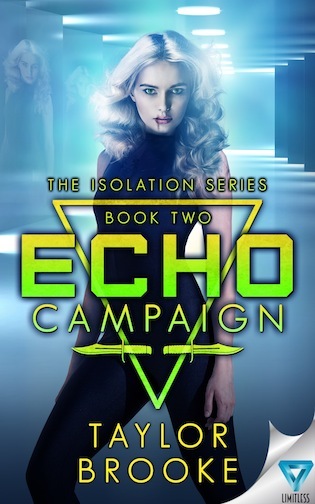 Taylor Brooke is the author of the sci-fi adventure trilogy The Isolation Series. She started out as a freelance makeup artist, and quickly discovered her love of elves, zombies, mermaids, kaiju, and monsters of all kinds. 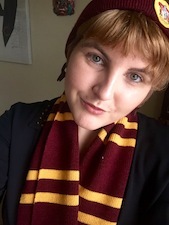 After receiving eight professional certifications in special effects makeup, working on countless projects, and fleshing out a multitude of fantastical creatures, she turned her imagination back to her one true love — books. Taylor has had a knack for writing since she was a little girl, and received recognition for her skills throughout grade school and junior college. When she’s not nestled in a blanket typing away on her laptop, she can be found haunting the local bookstore with a cup of steaming hot tea in her hands, scanning the shelves for new reads, or hiking one of the many mountains that surround her home in Oregon. 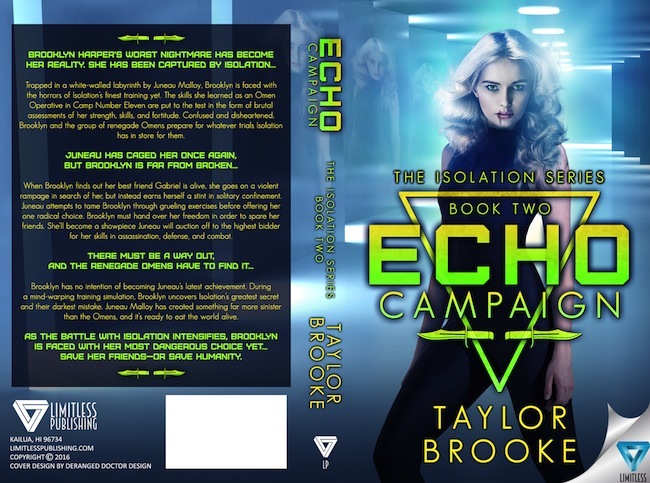 This entry was posted in novel, science fiction, writing and tagged book, ECHO Campaign, fiction, novel, post-apocalyptic, science fiction, Taylor Brooke, the isolation series, young adult.